If you’d like mailbox selection to be as easy as mailing a letter, opt for Cendrex boxes! When it comes to mailboxes, Canada Post has very specific requirements. Dimensions, materials, doors, lockbox assemblies and locks…the specifications are many and vary according to the type of building and number of units. This is why we make it possible for you to personalize mailboxes to the needs of your specific construction or renovation projects. For close to 20 years, we have offered a full range of superior-quality mailboxes that not only meet but exceed Canada Post specifications. 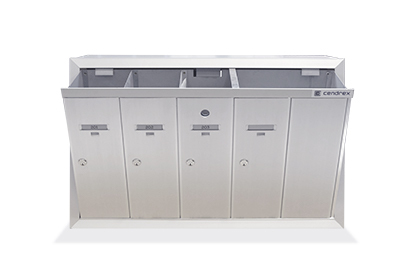 Our mailboxes are produced in keeping with rigorous standards, from extruded aluminum ensuring optimal durability. Order your fully customized mailboxes, and we will produce them within 25 business days. Note that we can produce mailboxes tailor-made to your needs. This service allows you to select the layout of boxes as well as their outer dimensions. We can even configure boxes in response to special requirements (in-house mail, small and large parcel compartments, boxes for educational establishments, etc.). The size of the building, as Canada Post has specific requirements for apartment buildings with 100 or more units, for example. The volume and type of mail occupants are likely to receive. 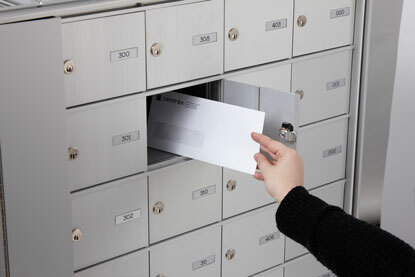 The site selected for the installation of indoor or outdoor mailboxes must be easily accessible to occupants as well as Canada Post delivery personnel. In the case of apartment buildings, choose between front-loading lockbox assembly or rear-loading mailroom. Smaller compartments are assigned to residential clients for the delivery of letters, magazines and small parcels. Parcel compartments ensure the fast delivery of larger items. Parcel compartments are large mailboxes installed in addition to compartments needed by client and they are not assigned to specific tenants of the building. Ask for a quote. It’s easy! Provide the number of suites, housing units or, more specifically, the number of individual compartments desired. 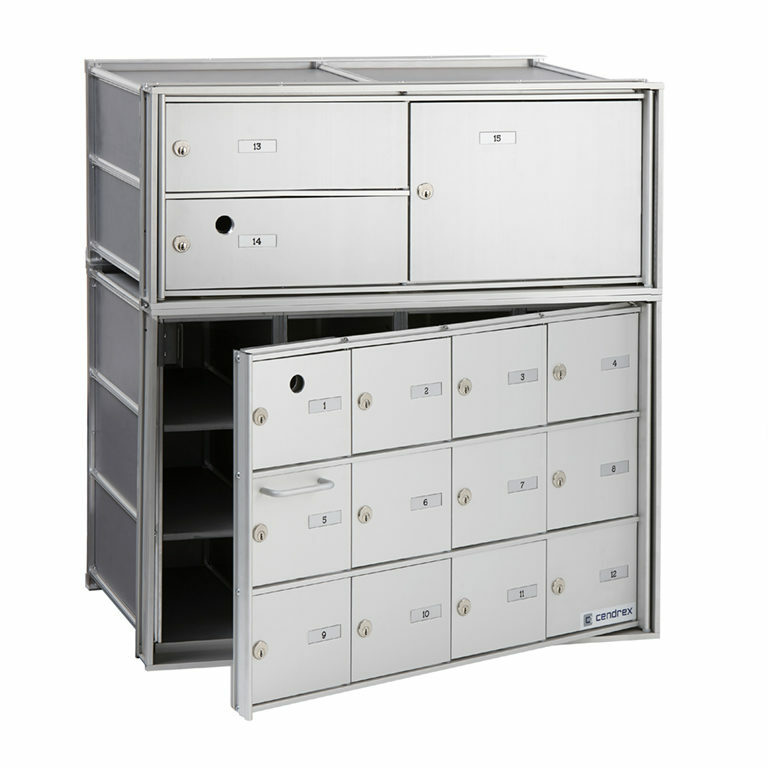 Provide the desired number of parcel compartments as well as the size of these compartments. Several sizes are available. Specify whether the mailbox is to be fitted with a Canada Post lock or a master lock to be installed by Cendrex for in-house or private mail. Attach a copy of the Cendrex quote to the order. Provide a copy of the drawing prepared by Cendrex at the quotation stage. Provide a list of the suite, office or housing units, so number plates can be ordered.